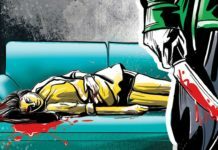 In a shocking incident, a 100-year-old woman was brutally raped allegedly by a 20-year-old youth in the middle of the night in West Bengal’s Nadia district, police on Wednesday. According to reports, Argha Biswas alias Abhijit has been arrested from the Gangaprasadpur area and presented before the court. “The incident took place on Monday night. Argha Biswas alias Abhijit was caught by the family members of the old woman. A complaint was filed on Tuesday,” an officer of the Chakdah police station said. Proceedings are going on and the victim has been released from the hospital after the required medical tests.